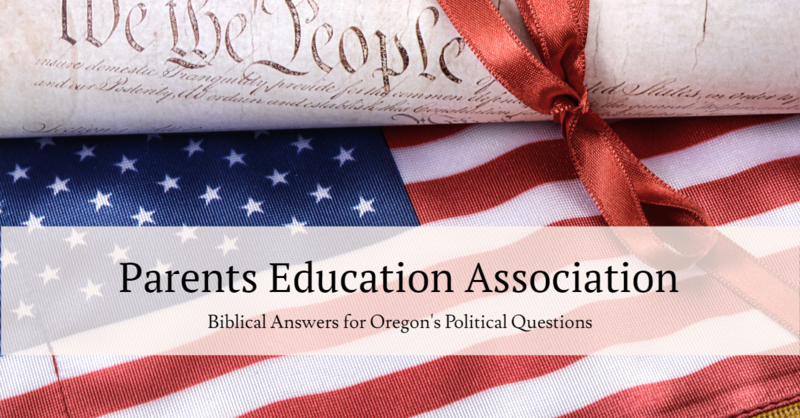 The Parents Education Association is dedicated to transforming civil government through biblical truth. We are to engage in every area of human activity, including the political, as Christians (“Whatever you do, do it all for the glory of God.” 1 Cor. 10:31. We believe this means from a distinctively biblical perspective. Our judges, law-makers and rulers should reflect the character, honesty, integrity, justice and love of God. This is the mission of the Parents Education Association. 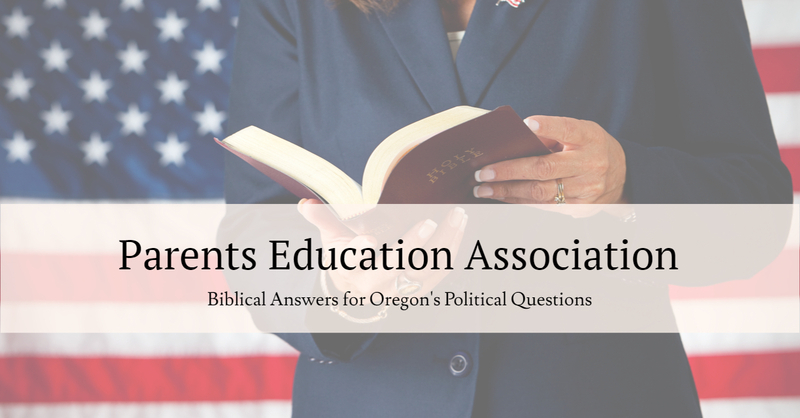 To that end, we offer biblical analysis and voting recommendations on all state-wide ballot measures in Oregon. We also work on various legislative, administrative, and judicial races. Tactically, our first priorities are protecting educational and religious liberty. Unless parents can opt out of government (“public”) schools, we believe the country will continue its anti-christian descent. We are actively seeking key contact people in churches across Oregon. Please let us know if you can help! Check out PEAPAC’s Facebook page to join the discussion on the upcoming election.